Baofeng Nova Co., Ltd., the world's first professional blockchain-based infrastructure service provider, will launch The Rose worldwide on the eve of Valentine's Day as the perfect gift that anyone can give to their significant other or object of their affection. The Rose is the first AR + blockchain live-action game. By searching and downloading The Rose, players will randomly receive their own rose seeds. They can then create a unique collection of roses for their significant other after watering, keeping a diary of how they nurtured and cared for the plants, bringing the individual roses together to form a unique bouquet and then storing the bouquet on the blockchain as perpetual assets. The flowers can be either sold as valuable assets, or given to others as a testament of love. The time, location and message accompanying the gift of the flowers will be stored in perpetuity on the blockchain, creating everlasting memories that will remain for 10, 15, even 50 years or more. The flowers can be displayed in 3D on mobile phones via VR or holographic technology. Each rose is genetically unique. What attracts players is the process of cultivating flowers for their loved one, which can be stored in perpetuity on the blockchain. The Rose also acts as a valuable testament of love. The developers of the game call this expression of affection the Proof of Love, enabling each player to spend time and effort in proving the feelings they have for that special person. 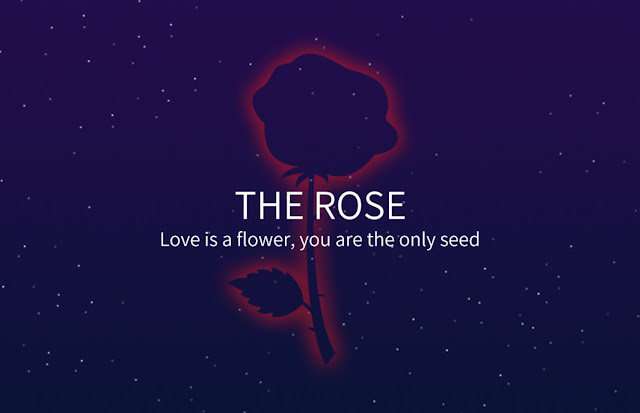 Cui Tianlong, CEO of Baofeng Nova Co., Ltd. and chief designer of The Rose, said: "We aim to leverage blockchain technology by developing uniquely creative apps based on the blockchain that give each player eager to express how they feel about their significant other a novel and unprecedented experience as a form of gameplay."